On our quest to clear out the back log of posts I found Ananas Bar & Brasserie which we had visited earlier this year, unfortunately the ArgyleXChange Festival is well and truly over for 2014. The good news is that the dishes we had that night are still a regular item on their menu year round and they were all excellent 🙂 For those that are not aware the Urban Purveyor group who own a number of restaurants mostly around The Rocks run an annual festival similar to March into Merivale that features $25 and $35 meal deals including drinks at each of their venues, we simply couldn’t resist visiting to see what everyone has been raving about! 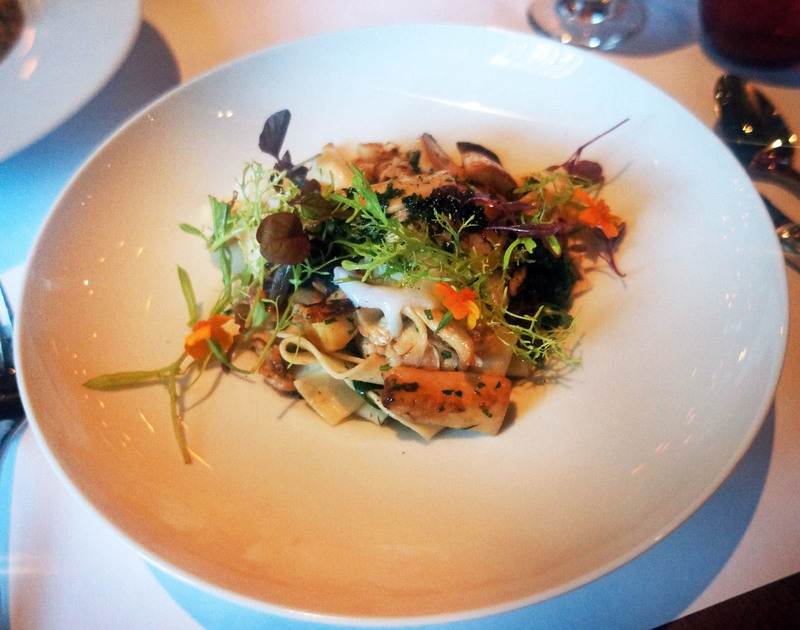 Papardelle of Mushrooms and Herbs with 62 degree Hens Egg and Beurre Noisette (above). Since we were visiting after work and had an early morning the next day we only had 1-1.5 hours to eat so decided to get all our dishes at the same time, the restaurant definitely deserves more time as it’s got some amazing interiors and a very romantic atmosphere. The first main arrived and I let the smell waft as we waited for Mr C to get his dish, when I could finally have a taste of my dish I fell in love immediately with the taste, it’s an amazing blend of mushroom, truffle and herbs topped with a silky 62 degree egg. Mr C decided to go with the delicious sounding beef risotto dish because the only other option wasn’t something we wanted. The main thing you should note about this dish is that it looks deceptively small but the dish is actually very deep and there is much more food than it may seem at first sight. 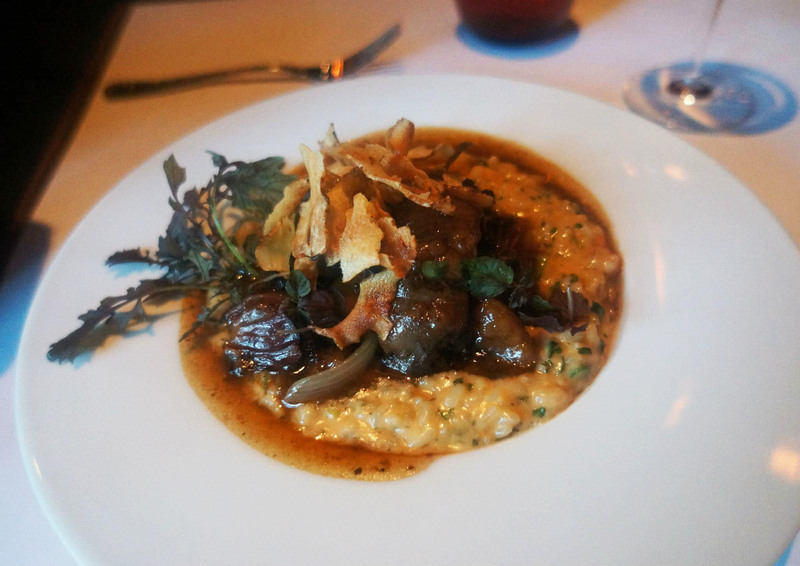 I was quite impressed with the risotto especially because it had an amazing sauce with a hint of red wine that interweaved throughout the dish. The wagyu itself was so tender and well braised that it almost quite literally melted in my mouth with each and every heavenly bite which I was very impressed with. Along with our mains we both really wanted to check out their steak tartare which was a favourite dish of ours during our trip to France a half year back. I wasn’t a big fan of the quail egg but the steak tartare itself was so flavoursome and tender that I would certainly come back to Ananas just to have this dish, easily the winner of the night for both of us despite the other two dishes being quite strong contenders. Aside from the fact that this visit was so long ago we never properly clarified with the waiter what wine and beer we ordered exactly. 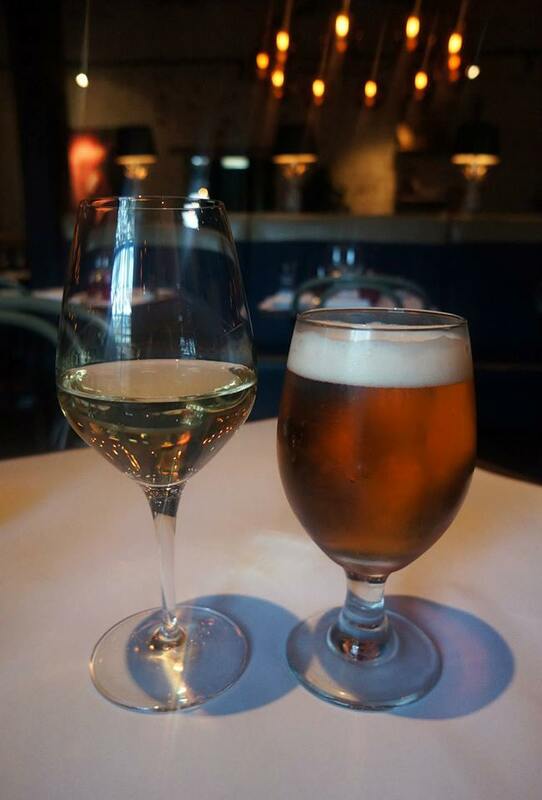 Mr C asked for recommendations and they brought these out for us to enjoy, it was probably the first French beer we’ve tried and the wine was a light and refreshing white from France. All in all I would have to rate Ananas Bar & Brasserie up there in quality of food and service, it does have a chefs hat after all 🙂 We’re not really familiar with the other French restaurants in Sydney but this visit has set the bar pretty high and I would love to find out if anywhere can out do them, any suggestions? I really love Ananas. You don’t feel like you’re in Sydney when you step into that dining room! I’ve had their salted caramel ecclair before and it was awesome on sooooo many levels. That braised wagyu tail looks freakin’ glorious!!! I personally liked the Papardelle (TRUFFLE IS SO GOOD). Really need to try the desserts! 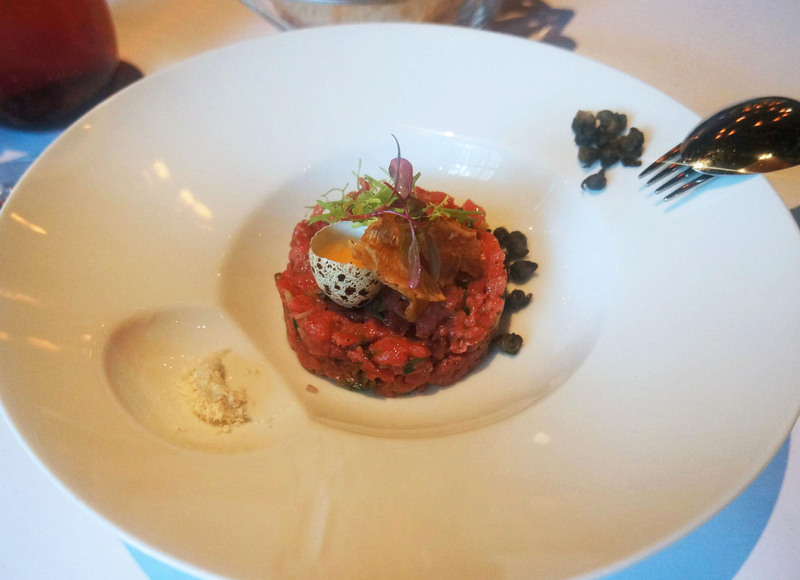 @Helen – Any steak tartare is awesome! Food looks great – very well ordered! 🙂 That steak tartare looks really fresh and tasty! Ooh I love a good tartare. Has to be handcut too! I was keen to hit up Ananas before for desserts but look like I could go for some of the main courses as well! Their desserts are also very nice!